What are the "spotlight" features? An imprint of the HarperCollins publishing house, Harper Perennial seeks to harbor fiction and non-fiction efforts from both new and young authors. On behalf of this fabulous publisher, Erica Barmash has granted us ten prize packs including two of their current titles! For more information about this great publisher, check out their website, The Olive blog, or follow along on Twitter! 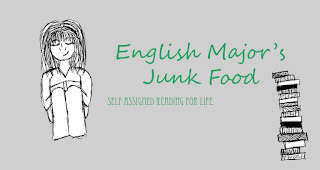 English Major's Junk Food stemmed from the realization that it's okay to read FUN books. In public! I review anything from young adult to creative nonfiction to classics, and I read because I enjoy it for myself not to impress someone else. 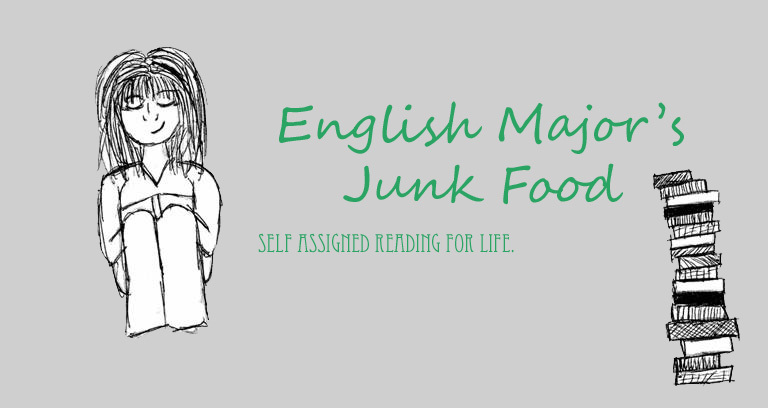 I also talk about my life as an English major and college student. That's A Novel Idea is a book blog that doesn't focus on one particular genre. Most reads are fiction though a memoir really floats my boat as well. Reviews can be sporadic at times due to a busy working and personal life, but my love of books and reading never wavers! My goal is to share about books, meet other book bloggers, and hopefully encourage someone to read a book they would never have considered on their own. A Novel Source(Stacy)A blend of eclectic book reviews, southern recipes & the journey through the joys & trials of opening my own bookstore. Lover of Christ, homeschool mom, and avid reader who posts reviews of a variety of books (mostly in the Christian genre) and regularly features posts on children's books and reading. Wow! We have some great looking folks there and the best part? There's more where THAT came from! Take a moment, check out their sites and see what they're all about. Be sure to stop by again soon for our next spotlight feature....you never know, YOU might be next! An avid reader herself, author LM Preston struck out to make her mark in the Young Adult genre with a Sci-Fi twist. With her family by her side, her first book reached publication and a second is on the way later this year. One lucky winner will get the chance to own a copy of that first work which took her from aspiring author to that coveted published status...one copy of Explorer X-Alpha will be in the prize bucket for the Kick-Off contest! For more information on this title and her forth coming work, take a stop by her website, check out the blog, or say hello on Twitter! 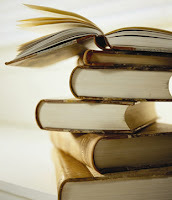 Consumed by Books is a great blog for eclectic readers. The reviews focus primarily on fiction, YA, classics and fantasy. 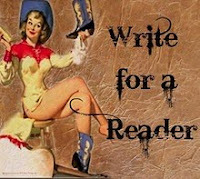 The goal of this blog is to provide reviews, news about up coming books and contests. My blog is a combination of everything I feel is real daily...books, children, pets, television...and lots more. I do pretty much any and all types of book reviews. Teach Mentor Texts is a book review blog that reviews children's books through young adult novels and some professional educational books. The goal of this blog is to highlight books that can be used with kids/teens to practice reading strategies and to improve their writing skills. Although I'm a pretty new owl on the scene, I hope to surprise you by offering flash reviews of the best upcoming titles out there, featuring fiction and crime/mystery authors you wont want to miss. Audiobooks too. Check back often. AWESOME BOOK GIVEAWAYS. 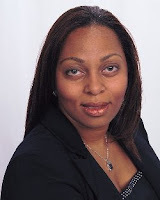 Known for her many works in the Young Adult genre spanning from those related to popular television series and self created literary worlds, author Nancy Holder is as generous with her creativity as she is with her time. On any given day, you can find her online, reaching out to readers everywhere...and better still? She holds a special place for book bloggers in her heart, giving credit to them for their efforts on her behalf. With that being said, she has created a special prize package for one lucky winner that is sure to delight! For more information on the titles listed as well as current happenings, visit her website or follow along on Twitter! Come to the Twilight Zone, where I hope to interest you in what I have read or [books that] will be coming out soon. You will find several genres but Vampire,Werewolves and Faeries rule in Twilight. Hope to hear from you soon. Love, Peace and Twilight! I'm a fairly new blogger trying to show my love for all the different genres of books by reviewing a little bit of everything: Fantasy, Suspense, Romance, Historical and all types of Young Adult Fiction. I am a 4th/5th grade looping teacher by day who also teaches graduate courses in literacy by night. I love sharing my passion for children's literature and teaching with anyone who will listen! Drawing on my experiences teaching preschool through 5th grade, my blog focuses on using children's literature as an integral part of classroom instruction. Posts include book recommendations (some with personal reactions), curriculum tie ins and ideas for developing life long lovers of reading. My target audience is primarily teachers but I think parents will find my blog useful and informative as well. In addition to our blogger features we will be running between events we also wanted to provide an opportunity to all our participants to share the current giveaways running on their blogs. Every Sunday (except this one...we're starting it on Monday this week) we will have a new "Got Links?" post to take part in. 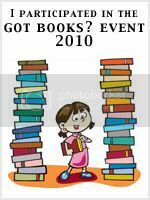 Feel free to list books and bookish related giveaways (ie. bookmarks, shelves, gift cards, journals, pens, etc.) in the Mr. Linky in each Sunday's post. Make sure to share your Blog Name, Giveaway Item and Ending Date so that everyone can stop by who's interested! I've always been a big reader. Growing up in Brooklyn, N.Y., I also rode my bike and went to camp and did all the regular-kid stuff, but mostly what I did was read. I actually think about my school years in terms of what I was reading at the time: Pippi Longstocking in second grade, Little House in third,A Wrinkle in Time and The Blak Stallion in fourth, Island of the Blue Dolphins and Harriet the Spy in fifth. When I hit my teens, I was a bookworm with a major crisis: my local library had hardly any YA books! Author of several titles perfectly fit for the Children's Fiction genre, Barbara Dee offers readers young and young at heart the chance to see the world through a young girls' eyes...complete with the pitfalls along the way. Thanks to this sponsor's generosity, we have three copies of her latest title, This Is Me From Now, to add to the Kick-Off Contest! For more information on her comings and goings as well as a further look at her reading and writing world growing up, visit her website or follow along on Twitter! I read what authors write, then I write about what I read. My focus is mostly on KidLit, children's books, but I also love reading and reviewing YA. 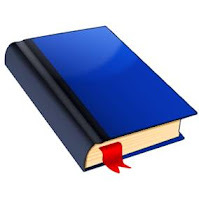 Adult fiction reviews can be found from time to time. Book reviews from the wife of a Nerd who loves to read in her spare time. "Brimful Curiosities - Sometimes children's books, sometimes not"
I'm a mom of two young children so my blog focuses mainly on reviews of books for young kids. I also occasionally review middle grade, YA, adult fiction and every so often other products. I often include crafts in my posts and love participating in kids' book memes when I have time. Curious? Be sure to stop by and say hi! Hello everyone I'm Kai an Avid Reader and Massage Therapist! I've changed my blog to focus on the one thing I do more than massage...reading!! I review all Fiction Genres, YA, Horror, Fantasy, Urban Fantasy Graphic Novels, and Manga. Tribute Books celebrates its 6th year in 2010 as an independent publisher for independent writers. I am proud to provide graphic design, quality printing, national distribution and book promotion for writers with an entrepreneurial spirit. Publishing a book takes guts. An author needs to possess the courage to share his or her voice with the world. It is an investment of time, money and energy to transform a rough manuscript into a polished work. I applaud risk takers and strive to provide them with an outlet for their creations. Celebrating the spirit of the independent publisher with truly flying colors, Nicole Langan is generous with both her time and her resources. For our celebration, she has graciously donated several titles in a variety of genres. For more information on these titles and several others, please visit their website or follow along on Twitter! Being a reader as well, she has a separate book blog for your reading pleasure...feel free to stop by and say hello. I'm loony, my site is mostly about YA fantasy. I participate in things like Teaser Tuesday and Waiting on Wednesday. By goal is to let more people read books by blogging about them, and over all to make new friends. Friends who equally love books as much as I do. I love to read fiction of any kind (and some non-fiction!). When not reading, I am working hard for my money, exploring the great city of San Francisco, and harassing my boyfriend's cat. Anyone looking for something new to read and who might want to take a chance on an unknown author by winning a free book. I mainly feature all genres of Young Adult fiction but I also love to read adult paranormal/fantasy, and chick-lit. I like to mix reviews with book tours, giveaways, guest posts, and author interviews. "Inspired by the enduring magic and importance of books, our objective is to create and distribute exceptional publishing that's instantly recognizable for its spirit, creativity, and value. This objective also informs our business relationships and endeavors, be they with customers, authors, vendors, or colleagues." On behalf of this great publisher, Lara Starr has generously donated several prize packs sure to please readers of all ages! The first three come with a Chronicle Books tote bag and the last comes with an Ivy & Bean T-shirt! For more information on these titles and many other fine choices, check out their website, Facebook page, or follow along on Twitter! The Bibliophilic Book Blog is all about spreading the love of literature...and dirty vampires. Just a geeky girl and her books full of vampires, werewolves, and demons oh my :) I like connecting with other readers and finding new books....but hey isn't that why most of us do it? Book reviewer who is always on the look out to discover new books to read and enjoy! A book blog that reviews Young Adult , Paranormal, and Urban Fantasy books. Reading Angel holds frequent contests and participates in the memes "Teaser Tuesdays" and "Waiting on Wednesdays".